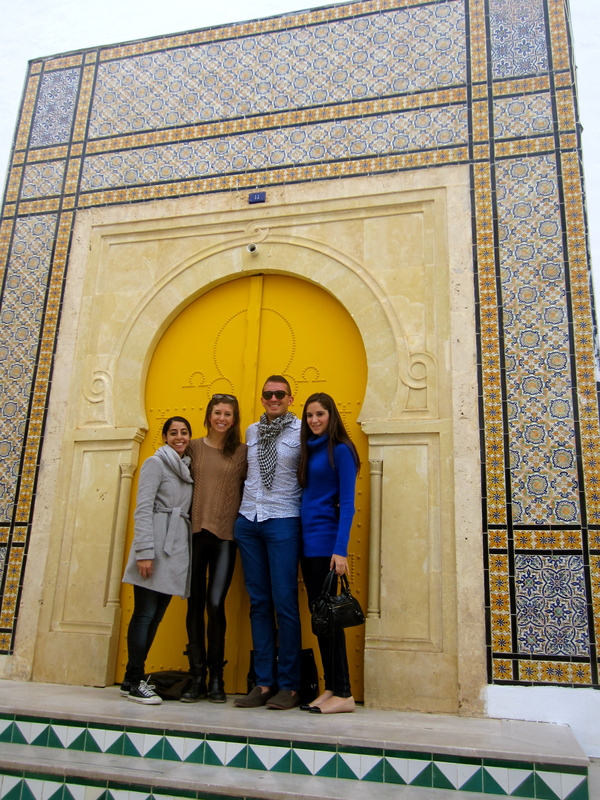 Salam and Bonjour from Tunis! 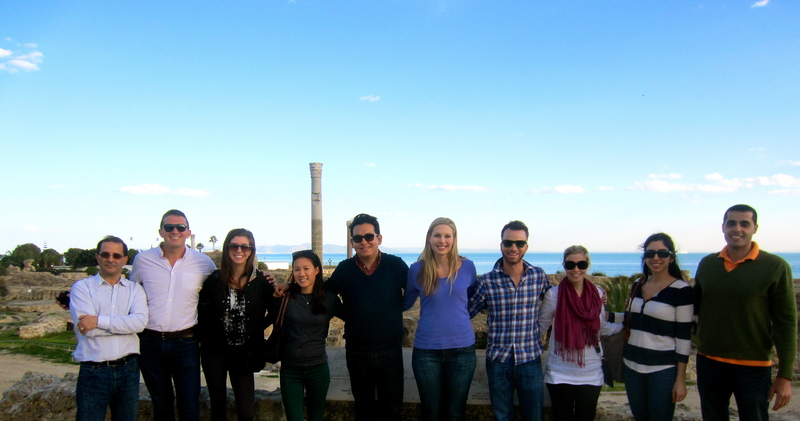 We arrived in Tunisia yesterday, with the 22 CBS students flying in from destinations near and far from prior winter break travels. 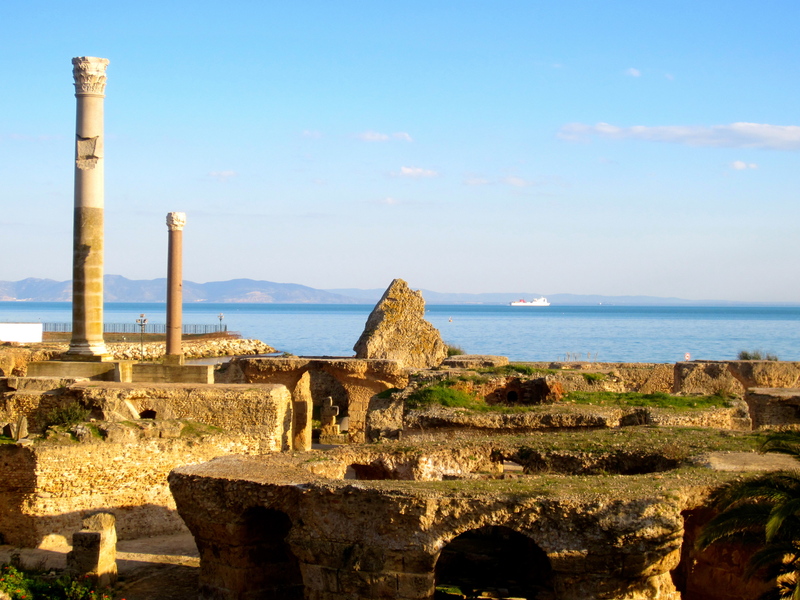 For those of us who arrived earlier in the day, Chazen organized a tour to the visit the ruins of Ancient Carthage, just a few miles north of the modern city of Tunis. 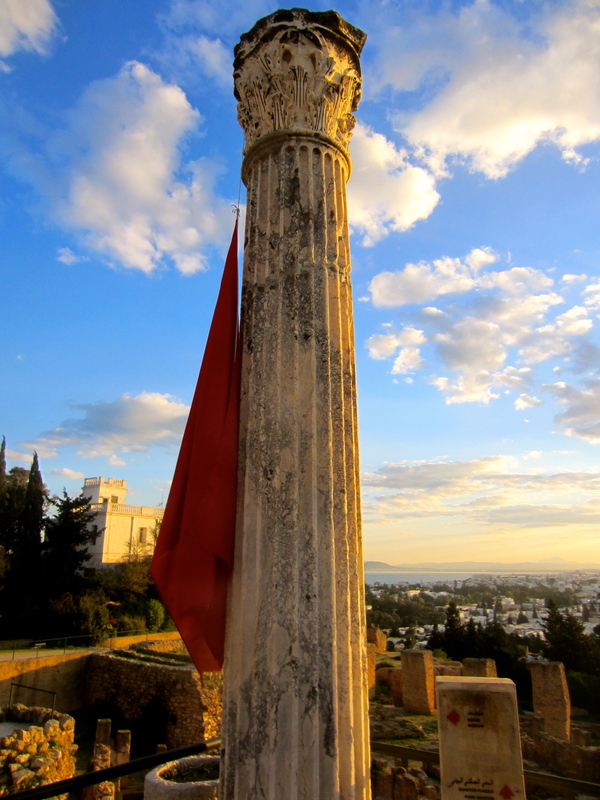 The Empire of Carthage, founded as a Phoenician city-State in 814 BC, was significant both politically and as a trade hub amongst the ancient empires. 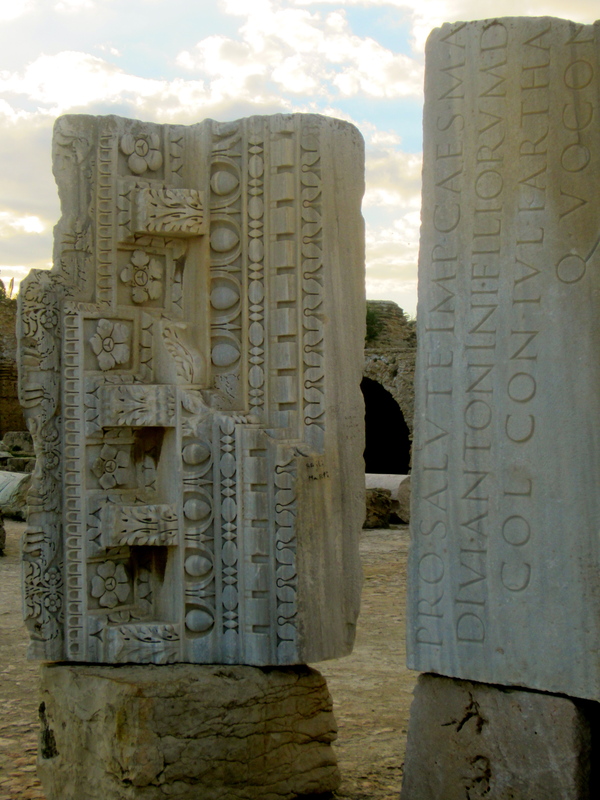 It is notorious for warring with the Greeks and the Roman Republic, which culminated with the Punic wars, which were led by Hannibal, immortalized by Vergil’s Aeneid, and ultimately ended with the destruction of Carthage. 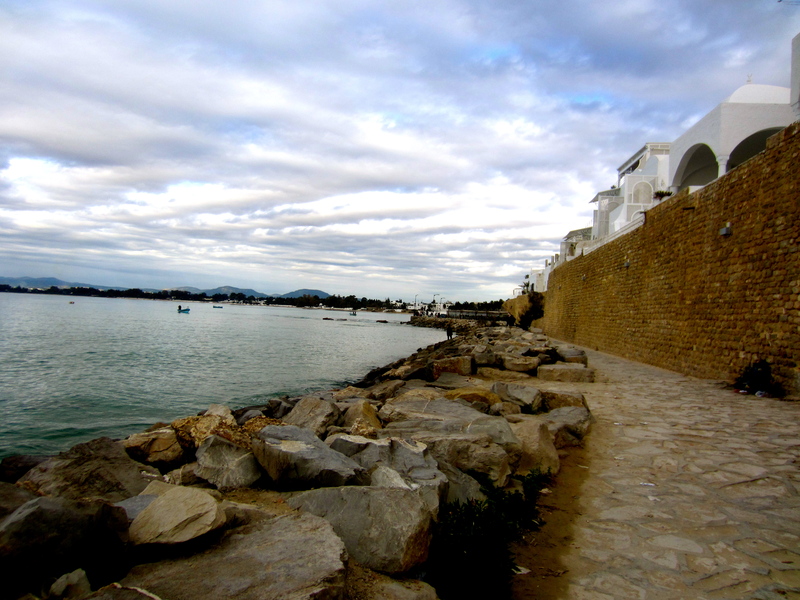 Following the tour of Ancient Carthage, we traveled to the summer vacation town of Sidi Bou Said, a 12 miles outside the city, for a welcome dinner. The town is known for uniform white buildings punctuated by azure doors and windows. Tunisia’s Minister of Foreign Affairs, currently embroiled in a nationwide scandal, was a fellow diner at the seaside Dar Zarrouk restaurant. Yesterday marked the 2nd anniversary of the Revolution. The country decided a few weeks ago to officially recognize January 14th as a holiday, and as such, most businesses closed in recognition. 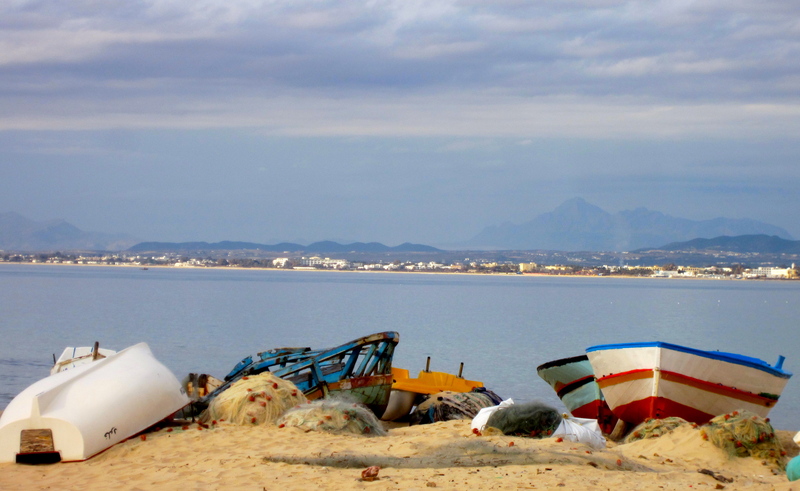 In order to avoid the demonstrations in the streets, populated by Tunisians off from work, our group enjoyed the morning meandering through Hammamet, a, popular resort town outside Tunis, whose population quadruples in the summer months. 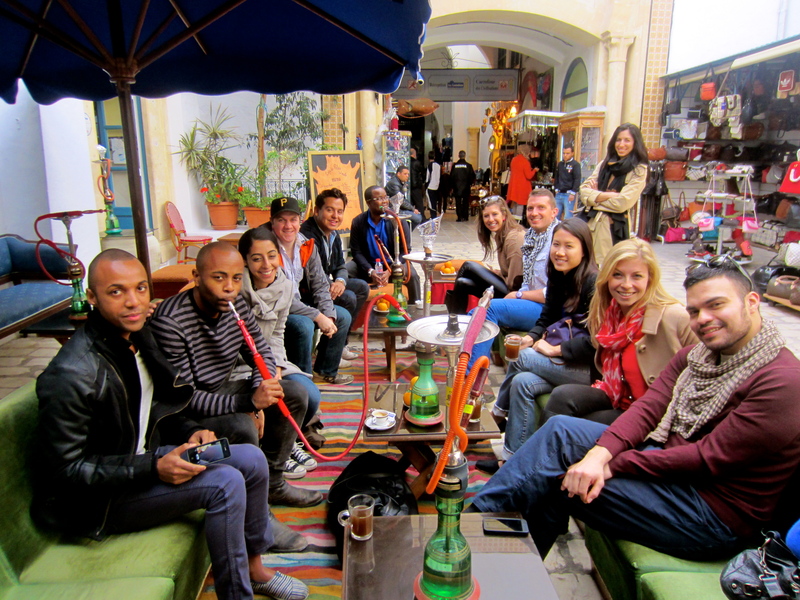 We explored the town’s medina (old city), browsing the souq(marketplace) for Tunisian handicrafts, and stopped for some mint tea, a traditional beverage, ubiquitous throughout the region, at a salon de the (café). 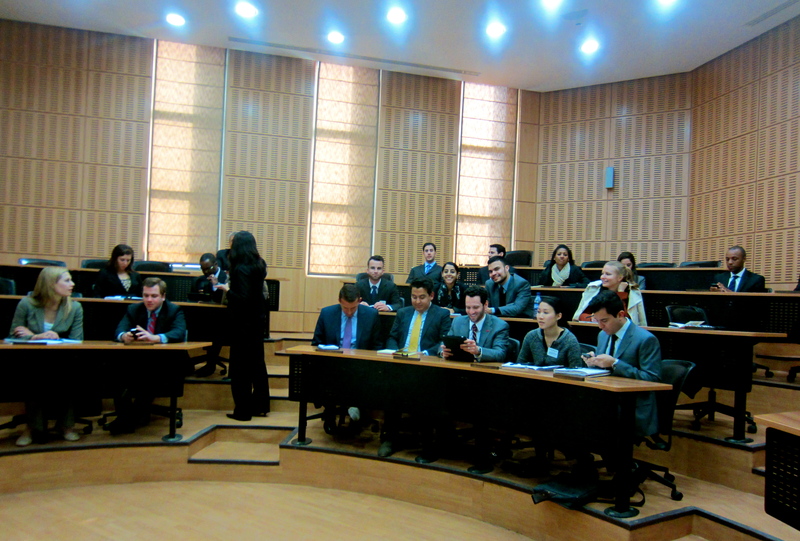 In the afternoon, we had several meetings focused around Foreign Investment. For a more complete recap: click here. This morning, we began the day with a Media Panel. Again, for details, click here. 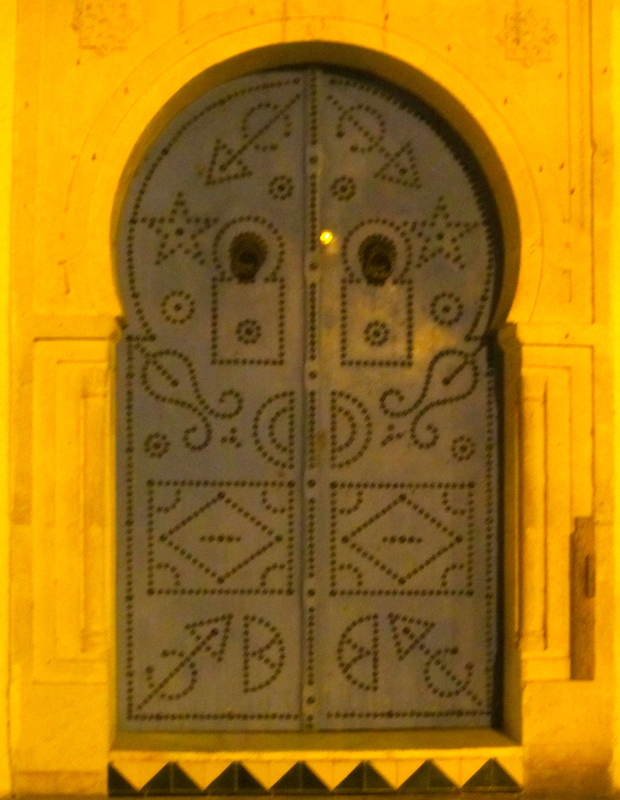 This entry was posted in Africa, Tunisia. 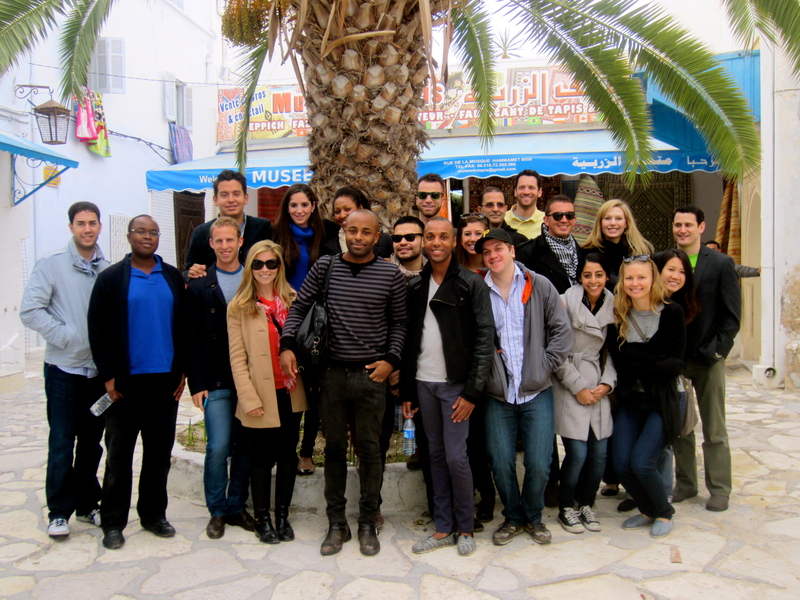 Tagged Carthage, CBS, Chazen, columbia business school, Hammamet, tunis, tunisia. Previous Post Previous post: 2 Days Until Tunisia! Next Post Next post: Made the Front Page of the Tunisia News!